A baseball thrown at a major league hitter at ninety miles per hour allows him about 0.4 seconds to analyze and react. Prior to today’s action, there had been 99 batters hit by pitchers in the National League and 101 in the American League, not a significant difference. 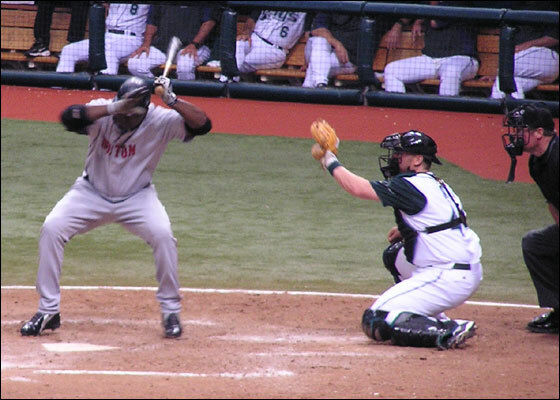 Judging by today’s action between the Red Sox and the Devil Rays one wouldn’t know that. During the Red Sox pennant quest of August 1967, Angel righthander Jack Hamilton beaned budding superstar right fielder Tony Conigliaro, causing severe eye injuries, beginning the downward spiral of Conigliaro’s career. Neither Carter nor Ortiz were born then, and perhaps neither is aware of Conigliaro’s significance to Red Sox history. However, all those of us who remember that nightmare never wish to recall it or see another Boston or opposing player in similar circumstances. Although the designated hitter rule has become the focus for the problem of beanball wars, it’s not so simple. Pitchers need to use both sides of the plate against today’s bigger, stronger hitters and hitters diving in on the plate need to understand that every inside pitch is not a ‘purpose pitch’. On the other hand, when intent is clear and contempt not control becomes the issue, major league baseball needs to act with clarity and immediacy. The pitchers involved, management, and managers should be severely reprimanded, suspended and fined. There should be no warning and no appeals. The umpiring crew involved should be suspended for one series without pay for failing to control the game. Both the Red Sox and the Tampa management should be fined a minimum of $250,000 dollars, both managers and pitchers suspended for a minimum of ten days, and Bud Selig should contact every team and assure them that this is the end, not the beginning of the zero tolerance policy to a baseball tradition that must end now. Will that happen? Of course not, because the “labor unions” will prevent harsh treatment of their coddled members. The idiocy will continue and baseball machismo will manufacture more manure, while the action serves up post-game highlights and ESPN moments. Maybe NESN can have a ‘beanballs and birdbrains’ segment. Mark McGwire’s tear-splashed testimony to Congress moved me to research some baseball statistics. After all, we love to talk about ‘magic numbers’, 755 or 714, 20 game winners, .300 hitters, and of course, million dollar crybabies. Many factors contribute to the explosion of home runs in baseball over the past decade – equipment (live ball), park effects (smaller), pitching (worse), strike zone size (smaller), and player effects (weight training, steroids). Can we try to measure the effects on home run production by top sluggers? I believe that we should frame our argument in terms of peak performance relative to early average performance and expect the effects to be maximized among elite players. That is not to say that the effects wouldn’t be more widespread, just easier to detect in ‘All-Star’ caliber players than in reserves, let’s say for example Manny Alexander. First, we can look back in time (mid-sixties for example) to assess overall homer production. In 1965, there were 2688 home runs in MLB, 2743 in 1966, 2299 in 1967, and in ‘The Year of the Pitcher’ 1968 only 1995. That works out to 2431 homers per year or about 121 per team in ten team leagues. Admittedly, the Koufaxes, Gibsons, Marichals, and Jenkins of the time had something to do with that. On the other hand, Aaron, Mays, Frank Robinson, Mantle, and Killebrew headed up the offense. From 2000 to 2003, the totals were 5693, 5458, 5059, and 5207 or 5354 per season, and 178 per team (16 National League teams, 14 American League teams). I decided to look at the top ten home run hitters prior to 1992 and compare them with the top ten contemporary sluggers (career homers) and compare their peak home run production to their average homer production during their first five full seasons (defined by qualification for batting title by plate appearances). One might expect comparable output early in their careers (averaged). We also have to remember the differentials in games played (154 versus 162), which if anything might diminish the difference between prior and current eras. This type of analysis looks for trends, but obviously cannot distinguish which players may have ‘cheated’ or adapted to changes in professional baseball (wink, wink, nod, nod). We know that in previous eras, performance-enhancing drugs were not available to players, and a number of players, specifically Ruth and Mantle, frequently indulging in performance-detracting drugs (alcohol). What does this type of analysis tell us? We know that according to Mark Twain, ‘there are three kinds of lies – lies, damned lies, and statistics.” The data contained above doesn’t normalize the performance to age (Ken Griffey had his first full season at age 19, while Henry Aaron was the ripe old age of 20). It excludes ballpark effects (Aaron’s peak homer season came at Atlanta’s ‘launching pad) and differences in player development over time. Without being statisticians, at a glance, we can see the top six differences in production come from contemporary players. For the entire group of old-time Hall of Fame sluggers, the ratio of their peak output to first five-year average was 1.51 peak/ average homers. For the contemporary sluggers (note Jose Canseco is not among the leaders), the ratio is 1.78, almost 20 percent higher. The mean batting average has largely clustered around .260 since its inception. In most systems, as discussed elsewhere, collective excellence generally reduces the standard deviation of performance. In other words, as overall performance improves, the distance between outsized performance and the average usually narrows. Concerning home run hitting, maximum performance particularly with advancing age (relative to early mean performance seems implausible). For interest sake, looking at some other Red Sox sluggers with over 300 homers, Carl Yastrzemski checked in at 2.78 (all that weight training at the Colonial? ), Dwight Evans scored 1.53, Jim Rice was at 1.35, Manny Ramirez is at 1.26, and Carlton Fisk was at 1.67. Then there’s the ‘wassup’ 1996 career of Brady Anderson, who using my criteria checks in at 2.28, with his monster season of 50 homers. Anderson had never hit more than 21 homers in a season, and had never had a slugging percentage of over .449 prior to slugging .637 that season. He never slugged over .480 again. What did change was that his salary jumped from $3.33 million in 1995 to over $7 million by 2000. I don’t know if there has ever been such a performance disparity in the history of baseball. What explains it? We’ll never know. There’s no use crying about it now. We like beer flat as can be. Still, we at Dirt Dogs think positively. Remember, legend has it that the Chinese character for crisis comes from the combination of danger and opportunity. Congressional testimony offers MLB players and officials unprecedented access to the launching pad into politics. After all, you can’t take steroids, er, play baseball, forever. Many athletes and executives have crossed the sports Rubicon and entered politics- George Bush, Sr. the Eli first baseman, Ronald Reagan, ‘The Gipper’, Kentucky Senator pitcher Jim Bunning, Oklahoma quarterback Congressman J.C. Watts, Bills quarterback Jack Kemp, Minnesota Governor wrassler Jesse Ventura, Seahawk receiver Congressman Steve Largent and Iowa Congressman Fred Grandy. Well, actually Grandy was Gopher, the Purser on The Love Boat, but he was known for playing games. Local hero Curt Schilling and other baseball notables will have the chance of a lifetime to trot out popular clichés like the Schultzian ‘I know nothing’, ‘I have no specific recollection of that’, ‘I can’t recall that’, and ‘you know the answer to that better than I, Congressman’. I’m St. Patrick’s Day green with envy. When I taught young physicians and medical students, I emphasized the two best answers in medicine: 1) “I don’t know” and 2) “that’s a good idea, we should have done that”. For all baseball’s faults, I expect that’s the tack they’ll pursue. One line we won’t be hearing, “you have nothing to fear but Fehr himself.” You want to watch real hardball, stay tuned to the hearings. Congress is just starting to take names. 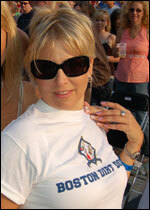 Boston Dirt Dogs supports a level playing field. Nobody can justify a chemical or physiologic advantage for the opposition, e.g. the New York ‘drug-enhanced’ Yankees, even notwithstanding their ethereal apologies. The Red Sox and the rest of Major League Baseball also deserve the opportunity to achieve maximum human performance. Therefore, I propose alternatives. Just a few minor tweaks to enhance fan enjoyment. First, expansion to a new ‘no testing’ MLB. Bring your chemist. Andro? 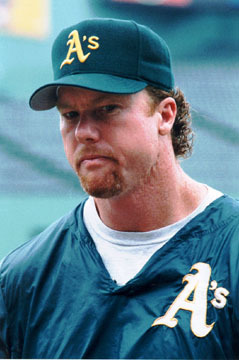 Mark McGwire, you are our American Idle. 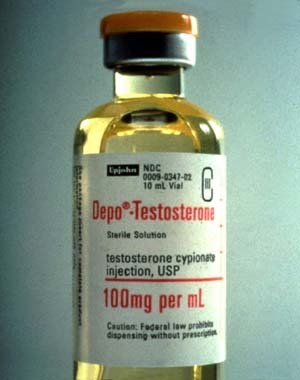 Anabolic steroids? Wonderful. Afraid of needles? No problem, we’ve got BALCO hard at work on that one. Human growth hormone? We’re about growth, baby. Blood doping? No way, Jose. There are enough dopes in baseball already. Amphetamines? That’s so sixties. What about beta-blocker withdrawal? Probably wouldn’t help to go up to the plate with a tremor, but pitchers could explain their wildness. While we’re at it, choose your weapon, wood, corked or uncorked, and of course aluminum alloy. In memory of Wally Joyner, let’s bring back the juiced ball, too. Chicks dig the long ball. We want scoring. Move the fences in, chop down the Monster and put in ‘outfield box seats’ (it’s the Benjamins), and lower the mound. Rename it the ‘bump’, three inches. Narrow the width of home plate, and move the bases in five feet, so we can have more infield hits and even gargantuan sluggers can go from first to third. Synthetic turf becomes mandatory. Anyone caught pretreating baseballs in the freezer would be subjected to felony charges. God forbid anyone tamper with our rights to see four-hour baseball games with football scores. Glove sizes would be rolled back to the thirties, and fielders would be required to wear hiking boots. Still not enough for you? How about permitting a designated hitter free substitution once a game? 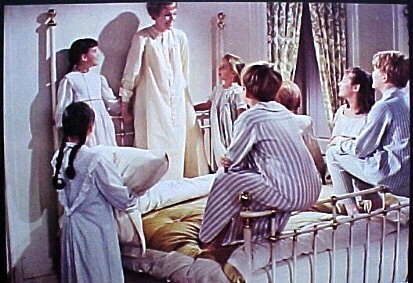 David Ortiz can fly out to end the eighth, and be allowed to bat again in the ninth. Relief pitchers wouldn’t be allowed to warm up in the bullpen (just after they’re called in) and defensive replacements are disallowed (Sorry Pokey). Now I know that you’re reminded of those wacky MIT students in Bringing Down the House beating Vegas at their own game, and how they didn’t change the structure of the game, just how they played it. Of course, times change and maybe Bonds and Giambi will make us forget Frank, Robby, Killebrew, Mantle, Mays, and Aaron. They’re remembered for what they did, while many of today’s stars will be remembered more for how they did it. Signage and scoreboards and aisles filled with hawkers. The departure of Pedro Martinez has empowered the common man. Teachers, nurses, engineers, dockworkers, chefs, and sports journalists understand they deserve the love and the respect of their employers. I work in a hospital. Today, a nurse, I’ll call him ‘Mark Tinnes’ listed the demands that he will present to his boss, the hospital CEO, on Monday. I encouraged him to go for it. Mark explained that his ability is State of the Art. He is simply the best. Recently he won the Hospital Employee of the Month. Proof enough. Accordingly, he expects the highest compensation of any nurse in the hospital. To Mark, pay for performance is not discretionary, it shows the hospital respects and values him as a person not just an employee. Mark gets hungry like everyone else. He needs meal money, at least $76.50 a day to get decent food around here. Mark also needs transportation to the hospital. He’s willing to accept a car allowance and gasoline money. Paragon of virtue aptly describes him. Working conditions must improve. As the consummate professional, Mark expressed a willingness to work every fourth day. He knows that some practitioners of the craft only have to work every fifth, but he’s always about effort. He’s willing to show up every day during the flu season. Sure, often he’s only at his best through the sixth or seventh hour of work, but he says that’s better than most of his peers. He can’t accept ‘floating’ to other units in the hospital. Were he to accept this, he requires a suite where he could be comfortable. He won’t work ‘off’ shifts either. That would compromise his performance. In fact, the concept of shifts is an anathema. No one can expect a professional to come at a certain time and stay until a certain time. If you want excellence, understand it comes at a price. Nursing places a lot of demands on an individual. You can’t expect Mark to work every other weekend and every other holiday. He also expects a four-month off-season to help him recover from the grind of medicine. If he needs a vacation, he may need an extra day at the beginning and the end. His commute is pretty long. Mark won’t be precepting any junior employees, either. They have to learn it the hard way just like he did. Mark enjoys excellent health. He absolutely refuses to consent to any employment physicals, drug testing, or especially an MRI. He won’t be poked and prodded like a piece of meat. Of course, he understands that he’ll be receiving constant performance evaluation from his supervisors and patients. But he also knows that his union assures guaranteed pay, regardless of whether his performance declines or if he becomes sick or injured. Mark knows that ownership, especially the CEO, care deeply about him. He has no problem with them. He has concerns, however, that middle management, like his nursing supervisor, are solely puppets of the organization. They have an agenda to bring key players like Mark down. Mark won’t have any part of that interference with his professionalism. Mark’s business is with the patients and the doctors. He can’t be talking with the patients’ families or friends either. That’s understood in the new contract terms. I thanked Mark for his insight into the problems he faces daily. He told me he felt pretty confident that with the nursing shortage that the CEO would be receptive. After all it’s about life and death. What’s the phone number for the AMA office anyway? Steven Covey, author of Seven Habits of Highly Effective People, tells us ‘the hardest thing to do in life is to understand how someone else thinks.” While we reflect on the barbs of rejection tossed our way by Pedro Martinez, maybe we can learn something from the experience. Studies pioneered by Kahnemann and Tversky examined how people make decisions concerning risk and loss. They showed that people focus on anchors (a dependence on current conditions) and loss aversion (avoiding the pain of loss). We know the power of herd behavior and know the importance of conditioning (learned experience on behavior). Be patient, this is the foundation. I recall an interview with the late Sonny Bono (the singer, not the U2 guy) who had an oversized refrigerator stuffed with food at all times. He remembered his childhood poverty and how often he was hungry, and needed the security of his refrigerator. Although a beautiful country with friendly people, the Dominican Republic has widespread poverty. A bus tour reveals neighborhoods with tiny homes of corrugated tin with holes cut out for windows and doors. Iron bars on windows and doors protect many properties with valuables. The security industry has a prominent face on the island. I don’t suggest that the Dominicans aren’t honest, rather that the temptations of poverty and the need to survive are great for their poorest citizens. We focus on our anchors, the Red Sox, World Series Champions, and frown at the loss of a high-maintenance but extremely talented pitcher, Pedro. Professional baseball owners and general managers exhibit herd behavior, overpaying for past performance, to secure players’ future performance. This often results in ‘the winner’s curse’ also known as buyers’ remorse. Moving to New York potentially accomplishes a lot for Pedro. First, he gets the maximum guaranteed money, security beyond our wildest dreams. People in many professions make that choice every day. Second, he returns to the National League, absent the DH and generally accepted as offensively inferior to the AL. Third, he escapes the frequent confrontation with his master, the Yankees. What does he lose by going to New York? Realistically, although he will have pressure to perform for the dollars, Pedro isn’t likely to single-handedly turn around the mediocrity there. He will certainly generate some additional interest (fannies in the seats) and the Mets can probably space out his starts to capitalize on that and get him the extra rest that improves his performance. He may not win as often as he did in Boston, but he has not only the statistics, the Cy Young Awards, and the championship ring to validate his greatness.